Stroke is a complex medical issue. But there are ways to significantly reduce its impact. 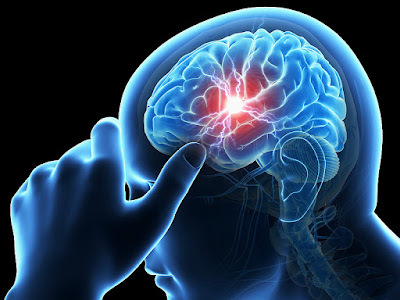 Recognizing the signs of stroke early, treating it as a medical emergency with admission to a specialized stroke unit, and access to the best professional care can substantially improve outcomes. A ‘brain stroke’ or a ‘brain attack’ is an event and condition that many of us know little about, but each one of us has the capacity to prevent and detect. When the brain is deprived of blood and the oxygen it carries, or when bleeding inundates surrounding tissue and causes the brain to swell, its effective operation becomes compromised. Both incidents can cause lasting vision problems, seizures, fatigue, loss of speech, memory loss, and paralysis among other adverse effects. If severe enough, they can also cause death. In low-and middle-income countries, which include those of the WHO South-East Asia Region, over 11 million strokes occur every year. This causes 4 million deaths annually, and leaves approximately 30% of survivors seriously disabled. For the 70% of survivors who recover, the likelihood of suffering further strokes is greatly increased. People with high blood pressure, high cholesterol, heart disease, diabetes or a high blood-sugar level are vulnerable to brain stroke. So are people that are obese, smoke or consume alcohol in large volumes and are physically inactive. In addition, the risk of stroke increases with age, while males are more likely to suffer a stroke than females. Most of the lifestyle-related risks can be reduced to prevent brain stroke. People who smoke should quit, and those who drink heavily should cease. These two factors alone significantly multiply the likelihood of stroke. A diet high in vegetables and fruit and low in salt should be consumed. Doing so will decrease fatty deposits in the arteries that can cause blockages, as well as diminish the prospect of burst vessels that high blood pressure brings. Regular exercise should be undertaken - at least 30 minutes of moderate-intensity aerobic activity at least five times a week. Blood pressure, blood-sugar and cholesterol levels should be checked regularly, with associated conditions managed in consultation with a health care provider. These simple but effective habits can help prevent brain stroke and other noncommunicable diseases such as heart disease and diabetes. Identifying stroke’s early warning signs is equally important to prevent disability or death. There are three key signs to watch out for - Is the face drooping on one side? Is there weakness in one arm? Is the speech slurred? If the answer is yes to one or all of the above, the person may be having a stroke and needs urgent medical care. Out health systems must be in a position to act decisively. On World Stroke Day, we need to spread awareness on stroke prevention, understand the symptoms and when to seek immediate care, and have a well-prepared health system to save lives and prevent lifelong disability.